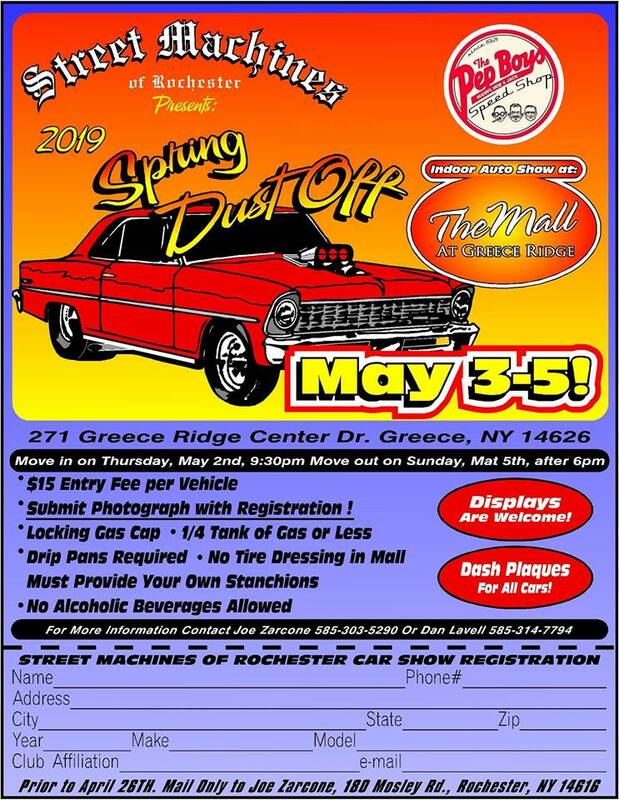 Dust off those Classics, Customs, Muscle Cars, and Bikes to show them off in your own unique display throughout the Mall. We have endured too much this winter season and it is time to enjoy our pride and joys. Get your registration in ASAP due to limited space in the Mall. Everybody is welcome! Muscle, Imports, Bikes, Classic! For 36 Years! 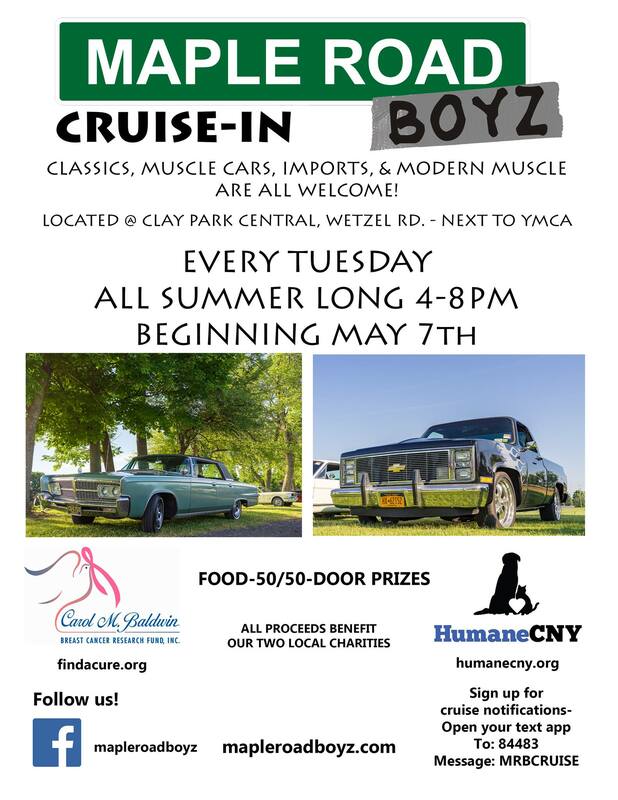 Yes, since 1983 this has been the premier event of the Car Cruisin Season. We want YOU, YOUR CLUB and YOUR CARS! All Years, All Makes, and ALL MODELS of Muscle Car, Classic Cruiser, Rat Rods, Kit Cars! Modified…Originals! Roadsters, Low Riders, Convertibles, Resto-Rods and MORE! We Start in Marathon…We Cruise to Cortland. We park at Cort-Lanes and let the Sun and Fun Shine on those Gleem Machines! 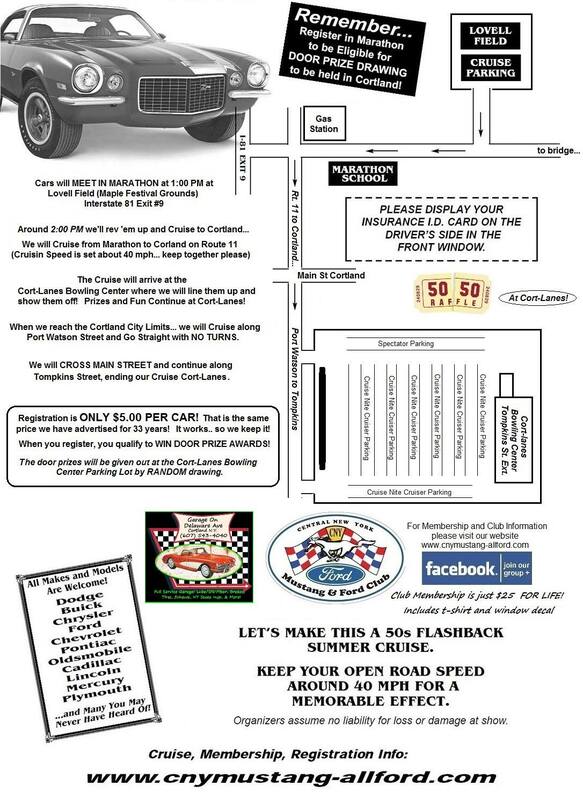 SuperCar Racers, Mopars In Motion Members, and All Vintage and Modern MuscleCar Owners, You’re Invited to the 7th Annual SuperCar Races American MuscleCar Racing New vs Old Event, Saturday May 25, 2019 at Lebanon Valley Dragway!!! Think your new Hemi can hang with the original Elephant? Want to see if that Coyote Powered Mustang can catch a Road Runner? Think your Camaro can hang with an Old School Nova? Well this is the event you want to attend to try to answer those questions. 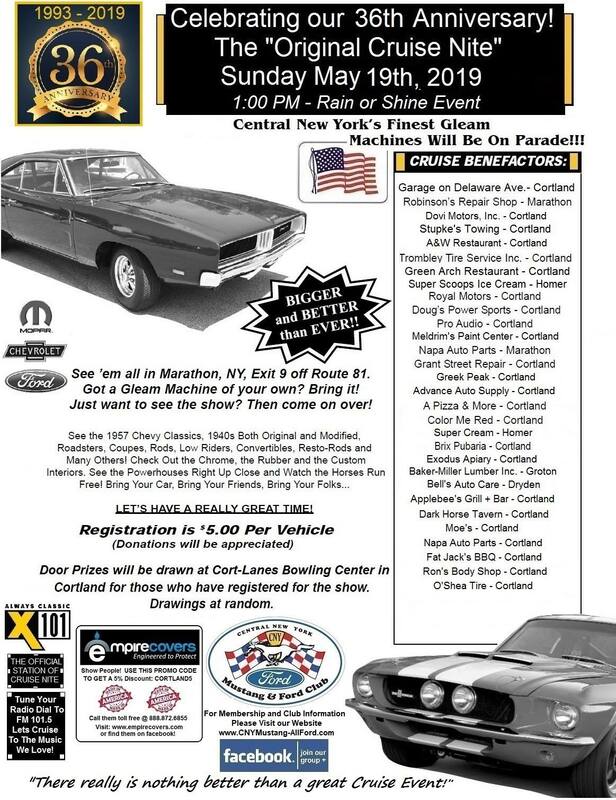 Come out to Lebanon Valley Dragway for a day filled with New vs Old Match Races. This is open to all that want to come out and have a fun day of racing with SuperCars and Mopars In Motion. No cut off year, this is a New vs Old event. You will get up to three qualifying runs and then we break out into three rounds of match race madness. The winner of each match race will receive a class winner sticker and bragging rights! Trophy to the Top New and Top Old Cars. Gate and Tech opens at 8am, Racing begins at 9am. We plan on having two to three qualifiers then we will pair up for a two out of three match race. New vs Old. Winner of each match race will receive a class winner sticker and Bragging Rights. Trophy to Top New and Top Old Cars. When you get to the track look for SuperCars truck and trailer with the SuperCar Banner. We will pit the complete group together behind the main grand stand. We do a Group Lunch, and bring a grill. If you’d like to participate, bring something to share- Water, soda, Hot dogs, burgers, pasta salad, dessert, chips, etc. We will have plates, condiments, plasticware. to introduce yourselves, sign up, and to answer any questions. If you have any questions, visit SuperCarRaces.com, or contact Ralph Barbagallo 860 416- 1 2 2 8.